If you can’t make it to our pre-meet, then the Old Market Tavern menu is delicious! If you love cosplay, costuming or just really admire costumes in general, then this event will be catered for you. We will be putting out some basic sewing patterns, some useful basic tutorials and much more, just to let you browse at your perusal. But, beyond that, live at GeekOut Bristol Meet, we will be making costumes. Oh – We’ll still be having a great night of games and chat! There will be a food menu at Old Market Tavern in the evening! 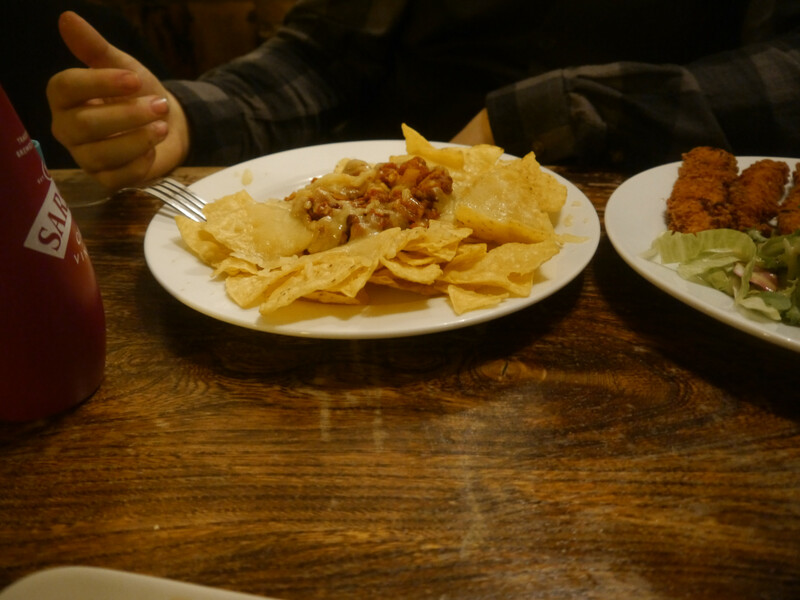 The food is very cheap and it’s absolutely delicious! Trust me, I’ve eaten there enough times… But regulars of the event are also fans of the food there! The food is home made as well, so it’s simply scrummy! Food is usually available from 6pm. 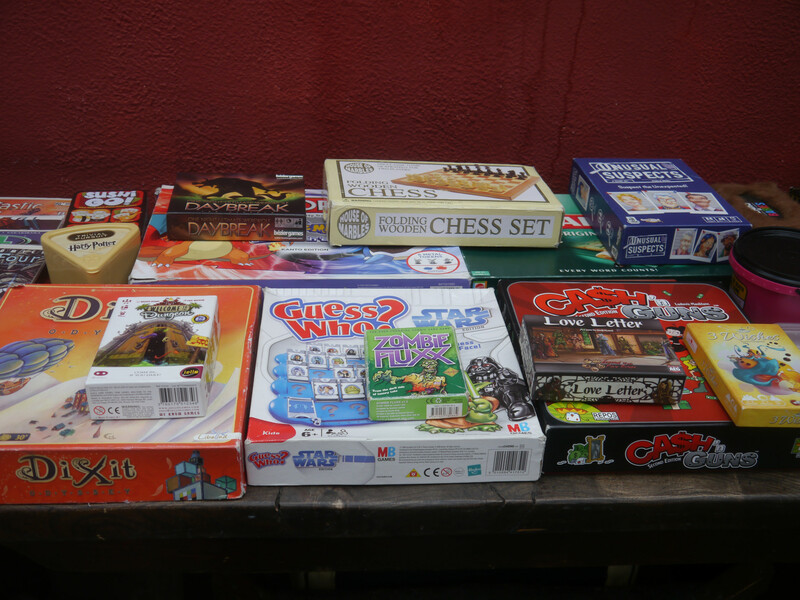 Our board games, beautifully presented! Also, bring along your devices – Quiplash, Drawful 2 and JackBox Party Pack 3 are played throughout the day. These are games where you connect with your smartphones or tablets (Or anything that can connect to a browser really). We also sometimes play other games, such as Worms and people with 3DSes can pick up StreetPasses and of course play games with other 3DS players. Also, people can play Mount Your Friends and other video games. We will bring the Raspberry Pi as well, which has some arcade games. 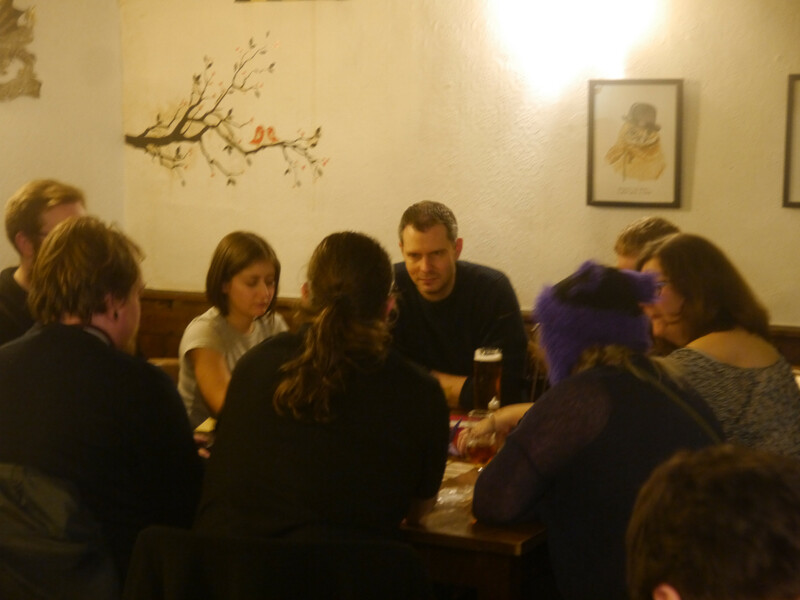 We will bring a new game for this meetup as well, so watch this space, we’ll announce what it is on Monday 26th by 10pm! We felt that we really needed to revamp our Book/Comic Swap system. As such, we will be opening a spreadsheet from the end of February 2018, listing all of the books/comics we own. If you wish to see a specific one, please let us know before the day via the spreadsheet. 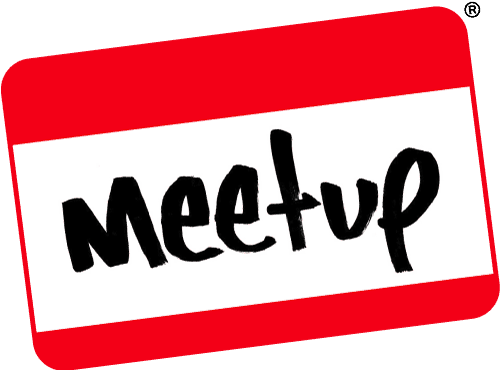 The link will be included in all future Meetup descriptions! Books/Comics you saw last month might not be present this month, unless you have a specific request for book/comics. You may take a book/comic home, free of charge. 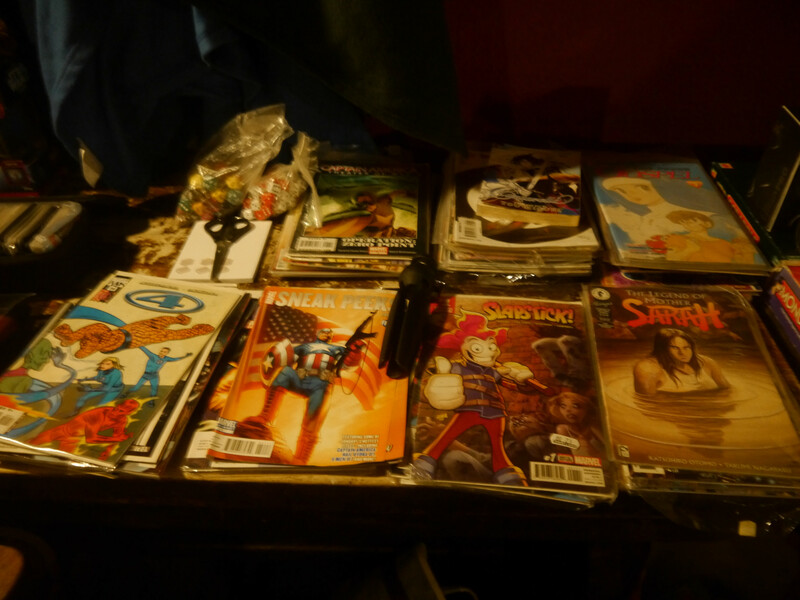 You may leave a book/comic with us to put into our list as well. 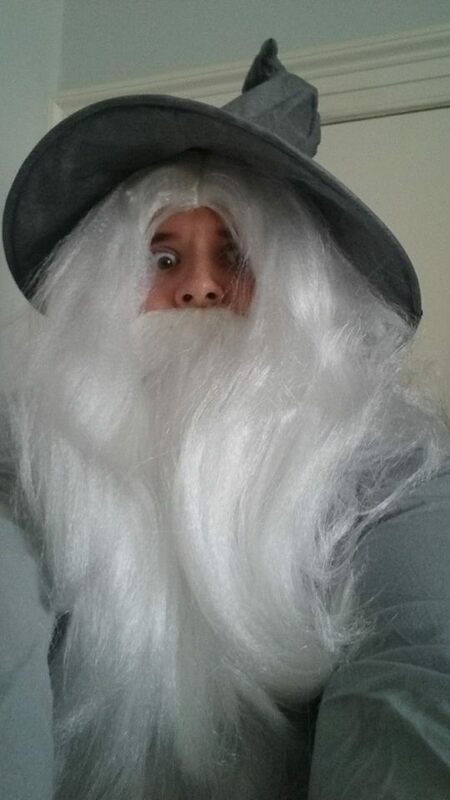 Okay, if the name of this month’s competition didn’t give it away, we’ll be rewarding you if you create a cheap cosplay. Feel free to bring along some clothes and a wig if you wish, but you will be judged on the bits you make at the meetup. 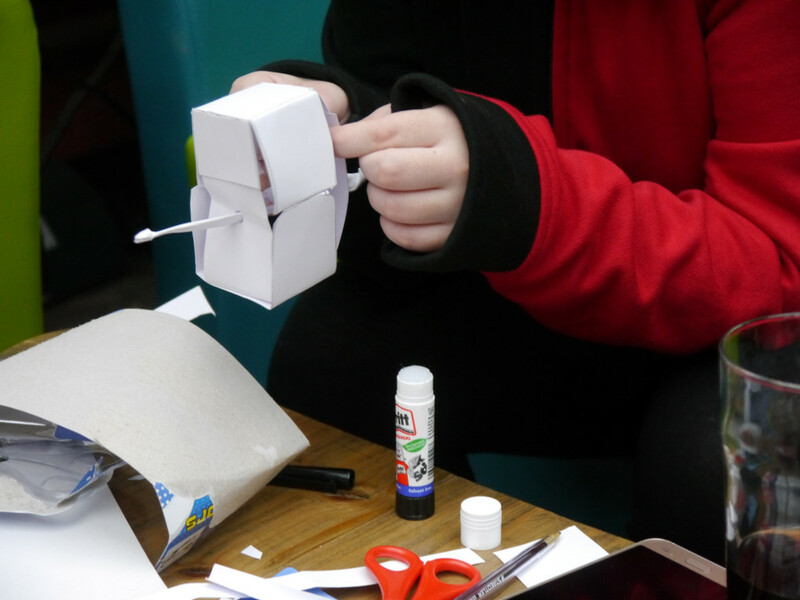 There will be some incredibly cheap materials to use! You may bring your own materials (so long as you tell us how much you spent). The cheaper, the better. You may use glue, but no hot glue guns. You may use sewing needles and thread (but please be careful!) More rules will be announced soon. You must, however, clean up after yourselves!! We will also be looking for GeekOut members to be judges, so if you don’t want to craft, but you love cosplay, then join me as a special guest judge! For those of you that are interested, at the moment I am only planning on bringing card and paper of a variety of different colours. Along with this, I will be bringing pritt sticks, pencils and sellotape. Please note that reserves will be limited, however if you’re looking for inspiration on the day, I will bring along a few patterns of things that people can follow. If I can get some cheap fabrics, I will do so, but please note that all of this is coming out of my own pocket, so there is a limit to what will be brought. However, one requirement of this competition: Everyone must clean up after themselves. I’ve learned one thing from the last meetup, which is that we need to take more care of the venue. It was an exciting competition, but I’d like for everyone to clean up. If anyone is caught leaving an area in a mess, you may be disqualified from the judging. This entry was posted on February 23, 2018 by Timlah. 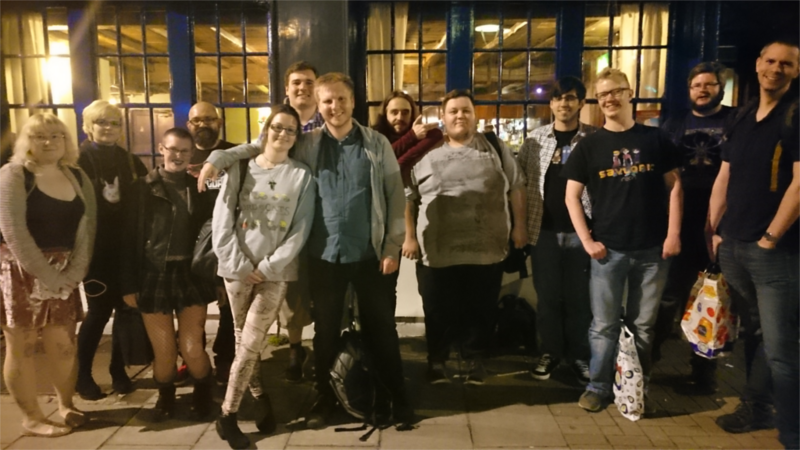 It was filed under Cosplay posts, Events, GeekOut Meetups and was tagged with Bristol, Cosplay, Cosplay Event in Bristol, Cosplay Group in Bristol, Cosplay Meetup in Bristol, Cosplay Meetups, GeekOut Bristol, GeekOut Bristol Meet, GeekOut South-West, UK.